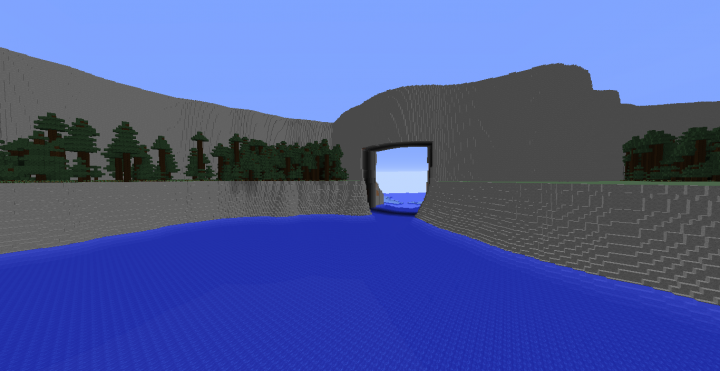 Your spawn point, facing the entrance to the bay. 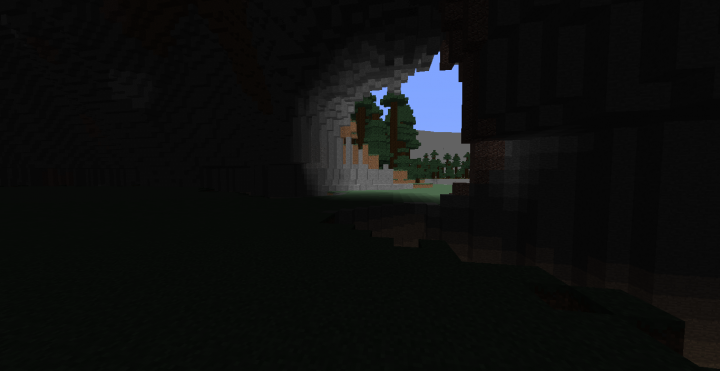 Inside the bay, facing the cavern and forest. The lava moat within the cave, with a natural bridge leading inside. 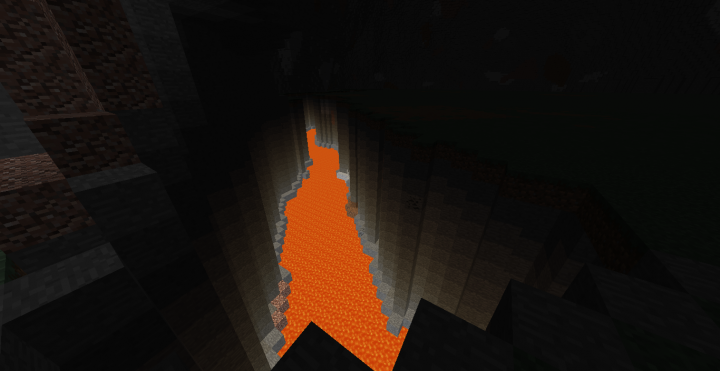 The entrance to the cavern, with the glow of lava visible on the side. A view across the field to the mountain. The mouth of the volcano. 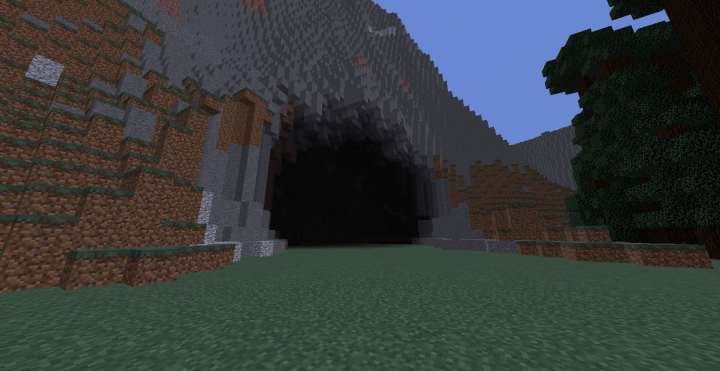 The entrance to the cavern. This project is a follow-up to my tropical island stronghold map (check that out here). 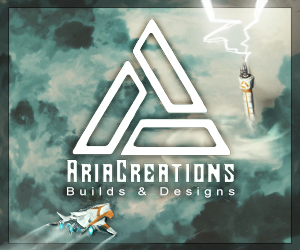 I said when I originally posted that project that I would have a Nordic/Dwarven version soon. 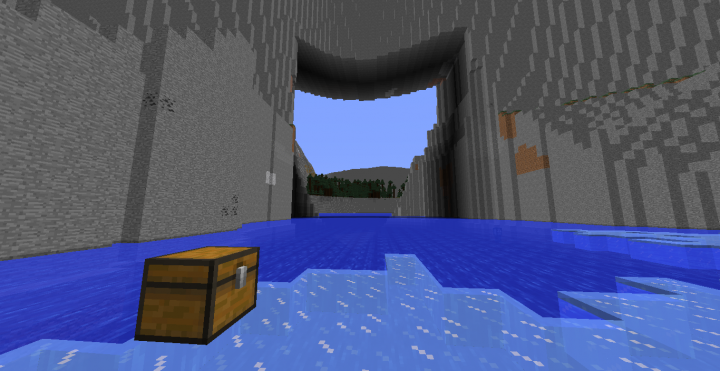 Well, here it is; the same awesome island with a natural rock wall, secluded inland bay, and massive cave beneath a volcano. However, in accordance with the new theme, I have made a few changes to the map. First, the Ocean has been changed to a Frozen Ocean. 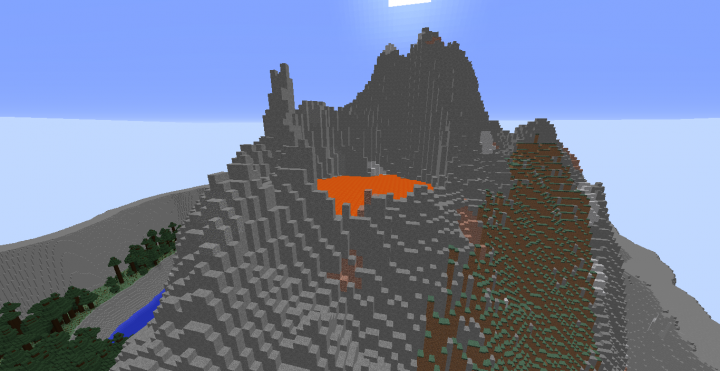 The island is now a Mega Taiga Biome, rather than a Jungle. 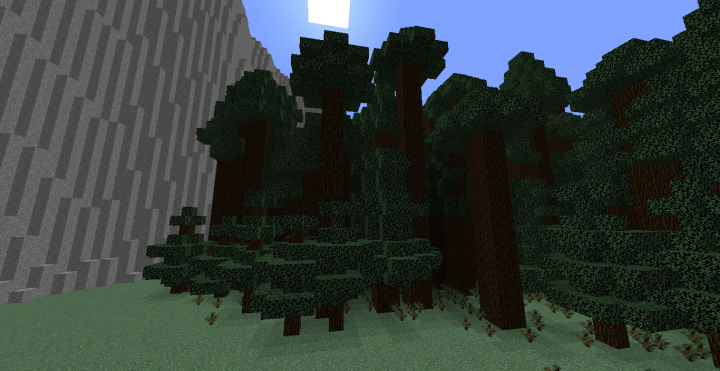 And the jungle trees have been replaced with pine trees. 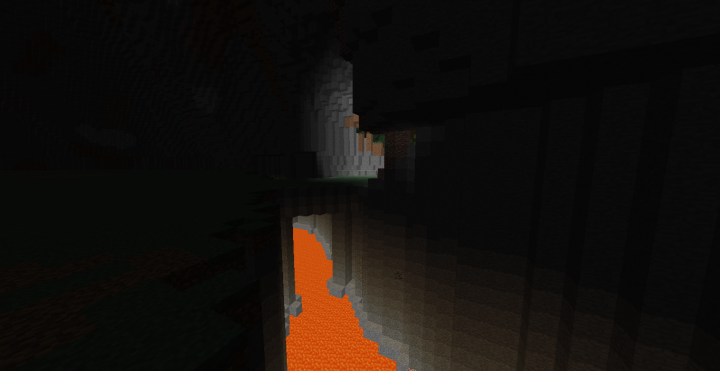 I have also added a lava moat inside the cavern, to add to the Dwarven feel. If you're interested in building a Dwarven city, or a Viking settlement, this is the map for you. 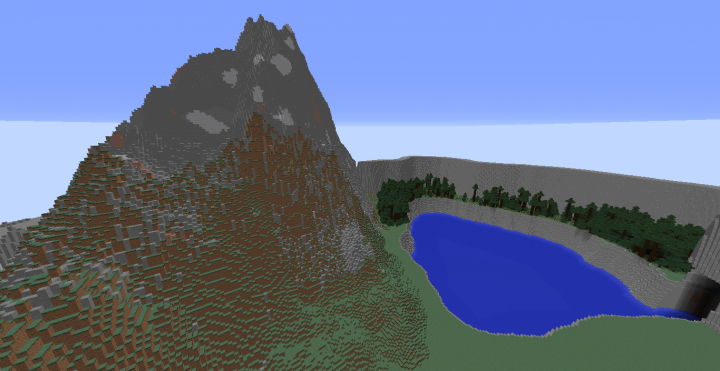 With a great harbor spot, a forest for timber, and - of course - the mountain, this is the perfect spot for an epic build, or even a more basic survival base. I really hope you enjoy this map, and be sure to leave a diamond or a favorite if you do. If you plan on building on this map, or if you think I could do something to make it better, let me know in the comments. Any feedback is welcome, as it will help me build even better maps in the future. 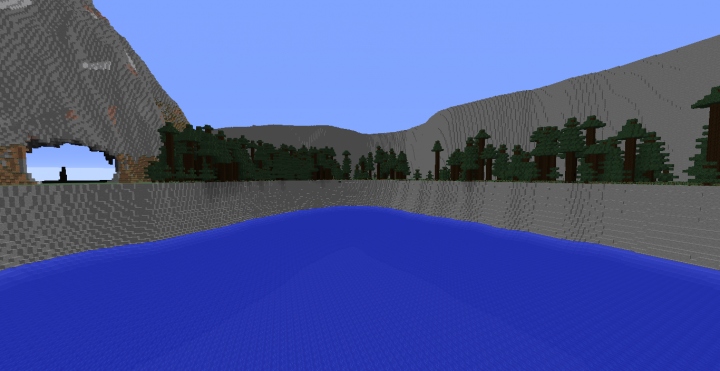 This map is set to Survival Mode, with cheats enabled. You can use this map in videos, or on servers, or even as a basis for an adventure map. Just be sure to credit me if you share it with others. Thank you very much.